fill the boxes in and press save. Once the "Extra Field" has been created, go to Settings > Extra Fields and click on it to change the settings for this particular field (e.g. 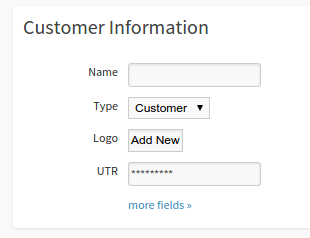 change it from "text" to a "date" field, or make the extra field visible from the main customer listing).